Be productive, focused & tidy. 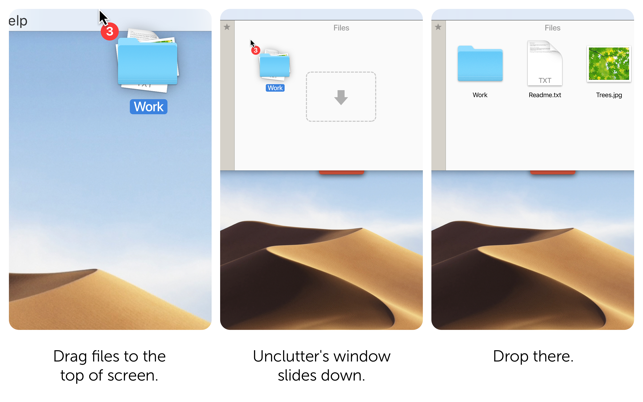 Unclutter is a new handy place on your desktop for storing notes, files and pasteboard clips. 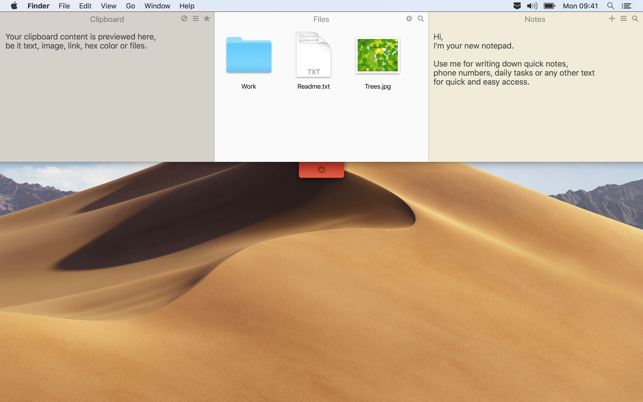 To open, simply move the pointer to the very top of screen and scroll down. 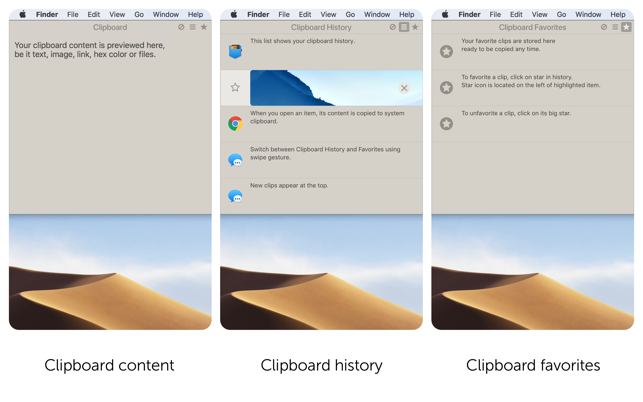 Drag items from other applications to the top of screen to store them in Unclutter. Being just one easy gesture away, Unclutter becomes a surprisingly helpful and convenient tool. In fact 3 tools in 1. 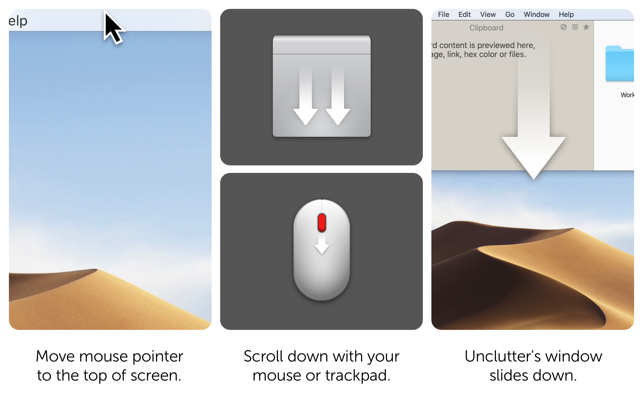 That will make you feel more comfortable and powerful on your Mac. 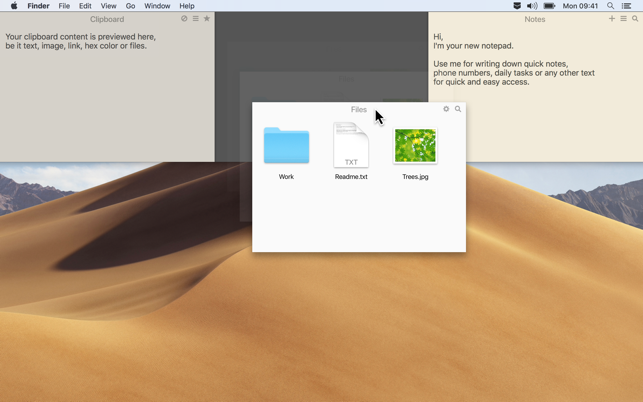 - Files and notes auto-sync across all your Macs via Dropbox. - Light/Dark theme to match system appearance. Have a question? Want to request a feature or share your idea? Please contact us at support@unclutterapp.com. - Fixed bug when opening a note (no edit) with links caused the note to pop up to the top of the list. - Unclutter Files is now a good place to store aliases to your remote files stored on network drives. If disconnected, opening this files will just prompt for the reconnection. - Fixed minor issues with Chinese localizations.